Isa and her little brother Max think their spring break is going to be a boring holiday. Everything changes when they meet the eccentric professor who lives at the end of their street. With the help of surprising experiments they learn to look at themselves, at each other and at the world in a different way. Then, by accident, they find themselves in unknown dimensions where they encounter extraordinary beings and explore exciting places. Isa and Max learn things they would never have learned in school. 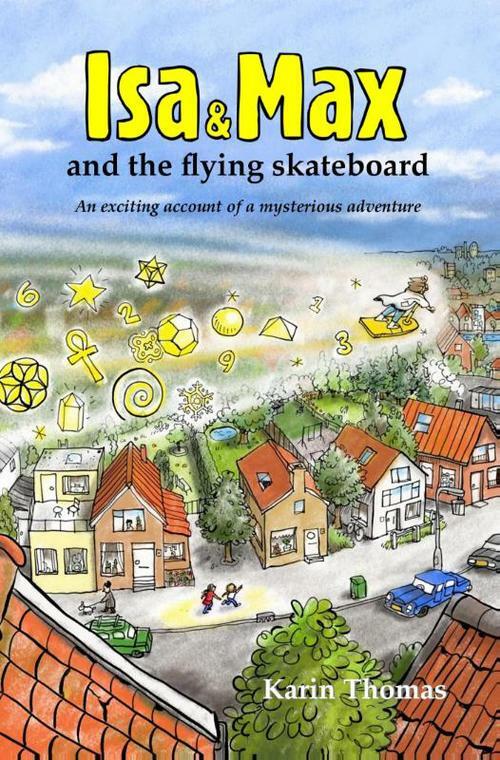 At the end of their journey the professor allows them to fly on a skateboard and they realize that anything, and we really mean anything, is possible. An exciting adventure revolving around new science and spirituality for the young and old. Are you ready to go on the journey of your life and discover the great mysteries? Karin Thomas (1971) lives in the Netherlands and is a mother of four children. Her search for the great mystery of life took her to Egypt, Stonehenge, to crop circles in Wiltshire, Glastonbury and to the hunebeds in Drenthe, Holland. Back home again and looking at her daughters she realized that all children like to go on their own journey of discovery. After having read numerous books, studying endless series of articles and following many courses she has now written her own book. For children, but also for adults who want to go on a journey to discover that the world is not at all what we usually think it is. A reader: "Truly, in one word fantastic, to read all subjects as simple and fun in a wonderful children's book. A book which will give many insights to parents as well."